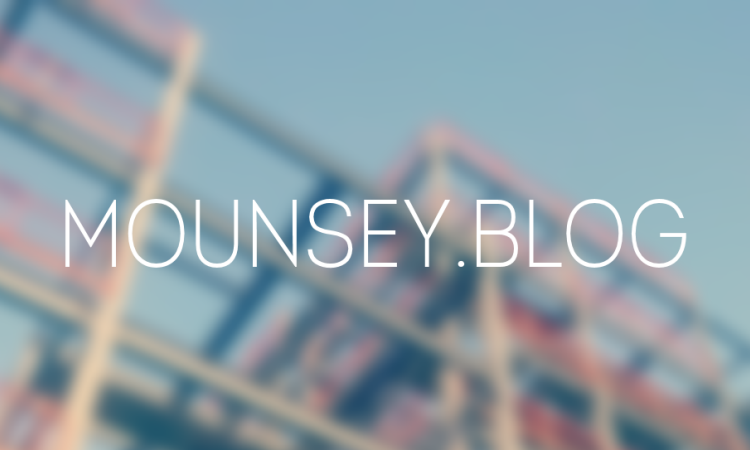 As you may have noticed, the Mounsey Web Consultancy blog now has a brand-new home – mounsey.blog! Although a fairly low priority, I was never entirely happy with the former Domain name (mounsey.org.uk) and yet felt certain that I had made the correct decision to keep the blog separate from my main Website (the imminently arriving mounsey.co.uk). The new “.blog” extension is literally hot off the press (as of November, 2016) – and they come with a higher asking price than the more traditional “.com” and “.co.uk” Domains. If you are interested in launching a stand-alone blog for your business, please enquire about pricing and options. Thanks.